Prime Minister Modi visited Pakistan in December 2015 but the terror attacks by Pakistan-based terrorists in Pathankot in January 2016 and then in Uri in September strained the ties between the two countries. "Sharif tried his best (to mend relations with India)," Mr Khan told the Dawn newspaper in an interview. Commenting on the military's influence in Pakistan's foreign policy, Mr Khan said, "The army will get involved where there are security situations. If you look at the US policy in Afghanistan, a lot of the US-Afghan policy was influenced by Pentagon. Even when (President) Barack Obama did not want to continue the war in Afghanistan, he did it because he was convinced by Pentagon." Mr Khan said that under crooked and corrupt governments, people welcome the military with open arms, and cited the example of a bloodless coup by the then army chief Gen Pervez Musharraf in 1999 when people celebrated the ouster of the Sharif government by the military. Talking about the importance of manpower and financial resources for a successful election campaign, Mr Khan said, "This is not Europe, where all you need to do is tell people what you stand for and they will go out and vote for you. In Pakistan, you need money and thousands of trained polling agents who can bring out people on the day of election. If you do not have those workers, you cannot contest the election." 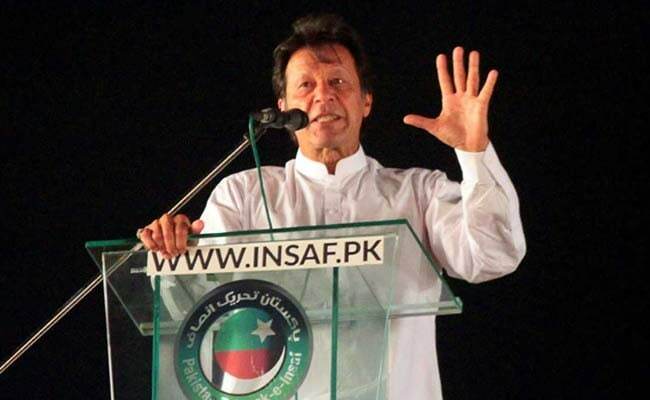 The PTI chief said though he is more "more optimistic" than has been in his 22 years in politics, he cannot vouch for each of the near 700 national and provincial-level candidates his party has fielded to contest the upcoming elections, he is playing with what exists in Pakistan's political class.